'Among the hottest books of this blazing summer' (Daily Telegraph): a bold, lushly written novel that will compel and disquiet in equal measure A BOOK OF THE YEAR 2018 - CHOSEN BY THE OBSERVER, NEW STATESMAN AND SPECTATOR It is the 1970s and Ralph, an up-and-coming composer, is visiting Edmund Greenslay at his riverside home in Putney to discuss a collaboration. Through the house's colourful rooms and unruly garden flits nine-year-old Daphne - dark, teasing, slippery as mercury, more sprite than boy or girl. From the moment their worlds collide, Ralph is consumed by an obsession to make Daphne his. But Ralph is twenty-five and Daphne is only a child, and even in the bohemian abandon of 1970s London their fast-burgeoning relationship must be kept a secret. It is not until years later that Daphne is forced to confront the truth of her own childhood - and an act of violence that has lain hidden for decades. 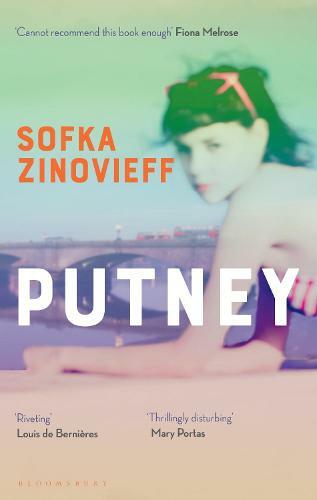 Putney is a bold, thought-provoking novel about the moral lines we tread, the stories we tell ourselves and the memories that play themselves out again and again, like snatches of song. This is a quite controversial, thought provoking novel about a love and illicit relationship between a very young girl and a man who is twenty years older than her. This book tackles a very controversial and taboo subject matter but I felt like it was told in a new way.